Providing you the best range of 3d printing prototyping with effective & timely delivery. 3D PrintingPrototyping (3DP)or 3D Printing Industrial Products is a rapidly developing technology widely appreciated as a fast, cost-effective method for prototyping. Using this technology, models can be printed in multiple colors in much less time than is required for other rapid prototyping processes. 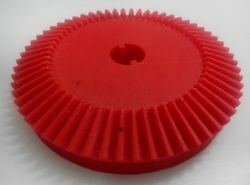 Though the precision and surface finish is not as fine as other methods, the short production time and low cost make it a favorite for presentation models, architectural designs, and educational tools. Looking for Prototyping 3D Printing ?